Around 3 A.M. Saturday, December 2, the Senate voted to pass the Republican tax bill, a measure which will undeniably have detrimental effects on low and middle income households. The bill also costs the U.S. treasury over $1.5 trillion dollars, which will soon be used as a reason to make cuts to Medicare, Medicaid, and Social Security as well as other safety net programs. With all of this happening, what’s really going on behind closed doors? Both the Senate and House have chosen members who will sit on the conference committee tasked to reconcile the House and Senate versions of the bill. There has already been a lot of back and forth as House and Senate leadership discuss which details to include in the final tax cut bill. 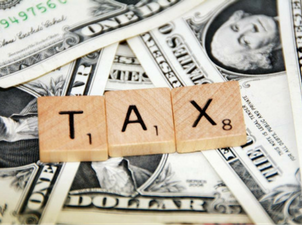 These discussions largely surround debates on the repeal of the alternative minimum tax for corporations, concerns about the research and development tax credit, the repeal of the state and local tax deductions, and requests to lower taxes on small businesses. Every Democrat in the House and Senate and numerous Republican members of the House have come out against the bill, recognizing the adverse effects it will have on their districts. Passing a bill that will increase taxes on their constituents is a large risk, especially with midterm elections approaching rapidly. The incentive to get this bill passed is largely political. Republicans, eager to have at least one major victory, are rushing to get it passed before this year’s end. This bill will lead directly to automatic cuts in healthcare and other vital social programs, in part to offset the estimated $1.5 trillion cost of the bill over the next 10 years. House Speaker Paul Ryan has already signaled that the next step for Congress after passing the bill will be to reduce funding for entitlement programs to pay for the tax cuts. We can learn from other states that have implemented tax cuts experiments and see that they have not worked! In 2012, the Kansas state legislature passed a tax cut plan that they promised would boost the economy and pay for itself over the years. In reality, lowering income and business taxes only hurt the economy, and led to a severely damaging loss of state revenue. Now, the Trump administration’s tax plan poses the same threat on a national level. This is a bill that Republican members of Congress are pushing in order to satisfy their donors. It is not a bill for the 100% and is the wrong direction for our country. Call your Representatives! The fight is not over. Call 1-888-422-4555 to speak to your Representative and tell her or him why you oppose the bill. Remember to share your faith perspective! Speak out on social media! Use your Twitter, Facebook, or Instagram accounts to voice your concerns about the tax bill and the effects it will have on our most vulnerable neighbors. Visit your Member of Congress’s office with friends in your community and talk directly to staff about why this bill is wrong for your district and wrong for the country. Get creative: Hold a prayer vigil outside your Members’ office! This entry was posted in Budget, Front Page, Income, Mend the Gap, Policy Update, Taxes, Women and Families on December 13, 2017 by maryc.